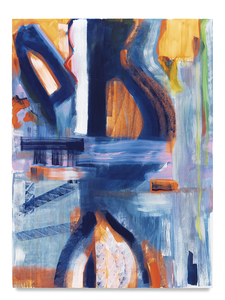 Monique van Genderen received her Bachelor of Arts degree from the University of California at San Diego in 1987 and her Master of Fine Arts degree from the California Institute of the Arts in Valencia, California in 1991. She is an Assistant Professor at the University of California, San Diego. 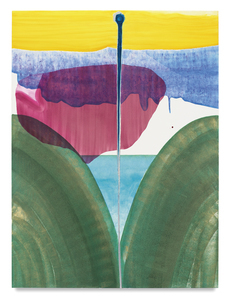 She has had numerous solo exhibitions, including Miles McEnery Gallery, New York, NY; Festsaal, Hochschule für Grafik und Buchkunst Leipzig, Leipzig, Germany; Susanne Vielmetter Los Angeles Projects, Culver City, CA; TAI Modern, Santa Fe, New Mexico; “The Gentle Art of Making Enemies,” Galerie Michael Janssen, Berlin, Germany; D’Amelio Gallery, New York, NY; Efferate, Milan, Italy; “Personal Exhibition,” The Happy Lion, Los Angeles, CA; and Hammer Projects, UCLA Hammer Museum, Los Angeles, CA. 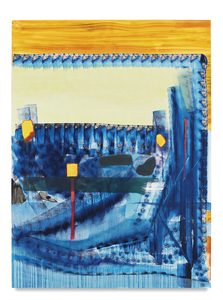 Recent group exhibitions include U.S. Embassy, Paramaribo, Suriname; “Being Here With You/Estando aquí contigo: 42 Artists from San Diego and Tijuana,” Museum of Contemporary Art, San Diego, CA; Albertina Museum, Rita and Herbert Batliner Collection, Vienna, Austria; “Flashback and Guests,” Stalke Galleri, Kirke Saaby, Denmark; “Jacques André, Jean-Pascal Flavien, Monique van Genderen, Ola Rindal, Josh Smith, Kelley Walker,” Galerie Catherine Bastide, Brussels, Belgium; “Lost in a Sea of Red,” The Pit LA, Glendale, CA; “Be Abstract,” Galerie am Markt, Schwabisch Hall, Germany; “Be Abstract,” Ballhaus Ost, Berlin, Germany; “Stray Edge,” Guggenheim Gallery at Chapman University, Orange, CA; “Ladies First!,” Schauwerk Sindelfingen, Sindelfingen, Germany; Galerie Catherine Bastide, Brussels, Belgium; “Capture the Rapture,” CB1 Gallery, Los Angeles, CA; “High Low,” Irvine Fine Arts Center, Irvine, CA; “Burning Colours,” HOPSTREET Gallery, Brussels, Belgium; The Venice Beach Biennial, Venice, CA; “Works of Paper,” ACME. Gallery, Los Angeles, CA; Brandstrup Gallery, Oslo, Norway; and “Living Flowers: Ikebana and Contemporary Art,” Japanese American National Museum, Los Angeles, CA. 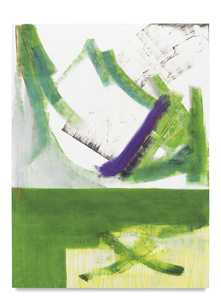 Her work is included in many public and private collections including AIG SunAmerica Inc., Los Angeles, CA; Albertina Museum, Vienna, Austria; Altoids Curiously Strong Collection, Peoria, IL; IVAM (Institut Valencià d’Art Modern), Valencia, Spain; KB Home, Los Angeles, CA; Le Consortium, Dijon, France; Los Angeles County Museum of Art, Los Angeles, CA ; Montblanc Cutting Edge Art Collection, Hamburg, Germany; Pennsylvania Academy of Fine Arts, Philadelphia, PA; and Rita and Herbert Batliner Collection, permanent loan to the Albertina Museum, Vienna, Austria. 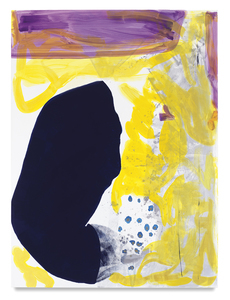 In 2004, van Genderen was the recipient of The Chinati Foundation Artist’s Residency, Marfa, TX. Monique van Genderen lives and works in Los Angeles, CA. The 48th Corcoran Biennial: Closer to Home, Corcoran Gallery of Art, Washington, D.C.
Pagel, David, “Monique van Genderen: Liquid Energy on a Grand Scale”, Los Angeles Times, 30 September. 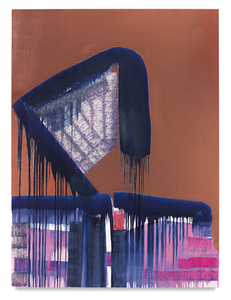 Melrod, George, “Monique van Genderen: ‘Manufactured Paintings’, Brad Eberhard: ‘Screen Gems’ at Susanne Vielmetter Los Angeles Projects”, art ltd., May/June. Wagley, Catherine, “5 Free Art Shows You Should See in L.A. This Week”, LA Weekly. Blouin Art & Auction Magazine January, pp. 75. 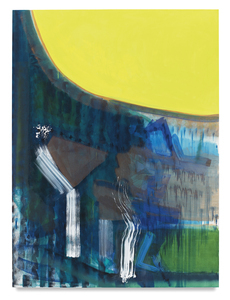 Abatemarco, Michael, “Bright star: Monique van Genderen’s abstract paintings,” Pasatiempo Magazine, 8 August. Sarroff, Amanda. 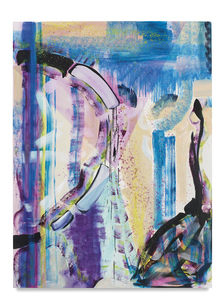 “Absorbing the Depths of Monique van Genderen’s Constellation of Paintings.” Artsy 16 October. 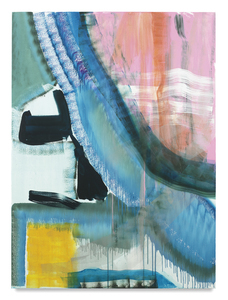 Knight, Christopher, “Review: Conceptual Spree, LAND’s ‘Painting in Place,’” Los Angeles Times, 18 June. Shaw, Michael and Jody Zellen. 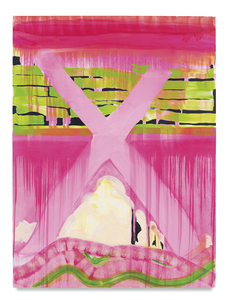 “Olga Koumoundourous and Monique van Genderen at Susanne Vielmetter Los Angeles Projects.” ArtScene April. Massadas, Bruna, “Monique van Genderen at Susanne Vielmetter,” The Face Painters, 26 March. Frederick, Jeff. 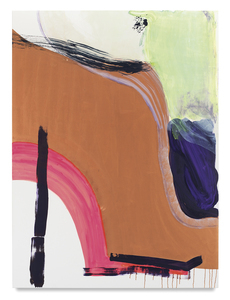 “Exhibition Reviews: Monique van Genderen.” Art In America January. Cohen, Edie. “What a Hunk.” Interior Design 1 August. Soto, Paul, “Down by the Boardwalk”, Art in America, 18 July. Ihlefeld, Claudia. “Alles, was sie zeichnen kahn.” Stimme.de 24 September. Pagel, David. “Panache and purpose collide.” The Los Angeles Times 25 August. “Kristin Calabrese, Monique van Genderen and Mindy Shapero.” The Huffington Post 23 August. Pagel, David. “Los Angeles Museum of Ceramic Art at ACME.” Los Angeles Times 13 January. Kilston, Lyra. “Los Angeles Museum of Ceramic Art.” Artforum 20 January. 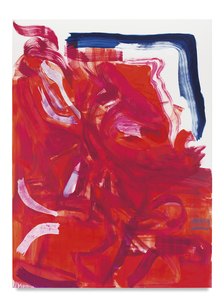 Bitterli, Konrad, Ambigu - Contemporary Painting between Abstraction and Narration, exhibition catalogue, Kunstmuseum St. Gallen, St. Gallen, Switzerland. Knight, Christopher. “Transmitted and transmuted.” Los Angeles Times 12 June. Miles, Christopher. “Monique van Genderen at the Happy Lion.” LA Weekly 27 May. Gibson, Allison. “Monique van Genderen at the Happy Lion,” Art Ltd. Magazine September. Marzoccchi, Isella. “Protagoniste Monique van Genderen.” Allure December, pp. 38-41. Hodge, Brooke. “Seeing Things|Flower Power.” T Magazine/New York Times 26 June. Schütte, Christophe. “Surfen Auf Malerei.” Frankfurter Allgemeine Sonntagszeitung, No. 40 October. Frank, Peter. 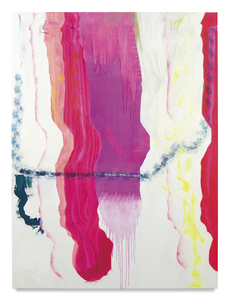 “Sensuous Strokes: Norman Bluhm, Monique van Genderen, Jeff Gambill.” LA Weekly 3 July. Taft, Catherine. 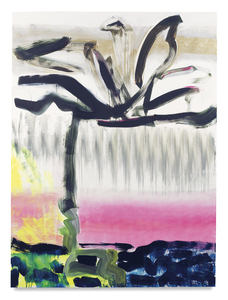 “Catherine Taft’s Roundup of the Best Shows in LA in June.” Saatchi-gallery.co.uk. Cochran, Rebecca. “Monique van Genderen at ACA Gallery of SCAD.” Art in America Vol. 95, No. 4, April, p. 147. Devrin, Bayar. Frog. No. 4, Automne-Hiver, pp. 68-70. Defendini, Fabian. Frog. No. 4, Automne-Hiver: pp. 70-71. Schwabsky, Barry. 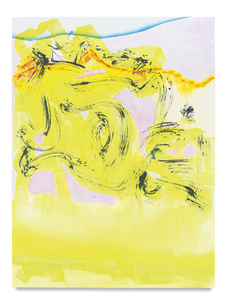 “Monique van Genderen: The Happy Lion.” Artforum Vol. 44, No. 5, January, pp. 228-229. “Continuing and Recommended Exhibitions.” ArtScene 30 September. Kurzner, Lisa, Monique van Genderen: The Sensory Foundations of Mental Life, exhibition catalogue, ACA Gallery of the Savannah College of Art and Design Atlanta, Atlanta, GA.
Lombino, Mary Kay, Off the Shelf, The Frances Lehman Loeb Art Center of Vassar College, Poughkeepsie, NY. McFadden, Jane. “Monique van Genderen.” hammer.ucla.edu. Williams, Turia Stark. “Monique van Genderen Lectures, Presents Exhibition at SCAD-Atlanta.” Scad.edu. Knight, Christopher. 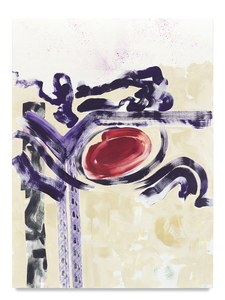 “Bold Forms, Elusive Colors.” Los Angeles Times 30 September. Funke, Claudia. “Four Young Artists at Michael Janssen.” Kölner Stadt-Anzeigen 17 March. Jankauskas, Jennifer. “Wall Painting at UTSA gallery.” Glasstire: texas visual art online September. 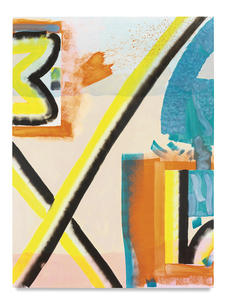 Binstock, Jonathan P. and Stacey Schmidt, The 48th Biennial: Closer to Home, exhibition catalogue, The Corcoran Gallery of Art, Washington D.C.
Colpitt, Frances, Wall Painting, University of Texas at San Antonio, TX. Frank, Peter. “Pick of the Week.” LA Weekly 6-12 February, p. 142. Holte, Michael Ned. “Critics Pics.” Artforum.com 16 January. Seidel, Miriam. “A fine frenzy of pattern and color fit for Furness’ hall.” Philadelphia Inquirer 10 October. Fallon, Roberta. “Sketches: Labor Pains.” Philadelphia Weekly 1-7 October, p. 42. Miller, Blake. “What To Do.” Philadelphia Magazine September, p. 180. Baker, Alex, Monique van Genderen, exhibition catalogue, Pennsylvania Academy of the Fine Arts, Philadelphia, PA.
Pagel, David. “Like the Real World Only Crisper.” Los Angeles Times 10 May. Doll, Nancy and Ron Platt, Art on Paper 2002, exhibition catalogue, Weatherspoon Art Museum, University of North Carolina, Greensboro, NC. Hall, Emily. “On Being Abstract, Feverish, Suggestive, Sick.” The Stranger 29 November – 5 December. Turner, Elisa. “A Visual Tale of Two Cities.” The Miami Herald 28 October. Pagel, David. “Down to Earth and Eye Catching.” Los Angeles Times 16 October. Subotnick, Ali. “Snapshot: New Art from Los Angeles.” Frieze No. 62 October. Dambot, Shana Nys. “Snapshot: New Art from Los Angeles.” Tema Celeste July/August. Goodale, Gloria. “Art Goes West.” The Christian Science Monitor 6 July. Harvey, Doug. “Multiple Exposures.” LA Weekly Vol. 23, No. 35, 20-26 July, pp. 52-53. Knight, Christopher. “A ‘Snapshot’ of L.A. Artists.” Los Angeles Times 6 June. Harvey, Doug. “Synthetics.” LA Weekly Vol. 23, No. 52, 15-22 November, p. 48. Griffin, Tim. “Monique van Genderen.” Time Out New York February. Von Schlegell, Mark. “Snapshot: New Art From Los Angeles.” Art & Text, No. 75, p. 76. Ferguson, Russell, and Claudine Ise, Snapshot: New Art From Los Angeles, exhibition catalogue, UCLA Hammer Museum, Los Angeles, CA.